One of the most simple and basic signs of intelligence is the understanding that actions lead to consequences. In New York, some people are showing a basic lack of understanding of this concept. In New York state, fracking is banned, and new pipelines have been prohibited in certain locations. The natural and logical outcome of these policies is that the state has a shortage of natural gas. Developers who had been planning to build new housing will not be allowed to hook up the new housing to receive natural gas. YONKERS – Across the suburbs north of New York City, clusters of luxury towers are rising around commuter rail stations, designed to lure young workers seeking easy access to Manhattan. In all, 16,000 apartments and condominiums are in the works in more than a dozen towns, along with spaces for restaurants and shops. Con Edison, the region’s main utility, says its existing network of pipelines cannot satisfy an increasing demand for the fuel. As a result, the utility has taken the extreme step of imposing a moratorium on new gas hookups in a large swath of Westchester, including for residential buildings planned in Yonkers, White Plains and New Rochelle. But is this shortage really “unexpected”? Not for anyone who understands that actions have consequences. There is an ample supply of natural gas in the United States, but opposition to building or expanding interstate pipelines has caused delivery challenges in the Northeast, according to industry officials. Gov. Andrew M. Cuomo lives in Mount Kisco, a town included in Con Edison’s moratorium, and wants the state to move away from fossil fuels toward cleaner energy, like wind. He has banned fracking, a process to extract gas from shale rock, and two years ago his administration rejected a major interstate pipeline project, saying its construction would endanger wetlands. A person would have to be a complete idiot to support these bans and restrictions, while simultaneously being surprised that there’s a shortage of natural gas. Alexandria Ocasio-Cortez wants to end the use of fossil fuels over the next 10 years. I’d be curious to hear whether she supports or opposes letting the developers of this proposed new housing in New York hook up the housing to receive natural gas. March 21, 2019. 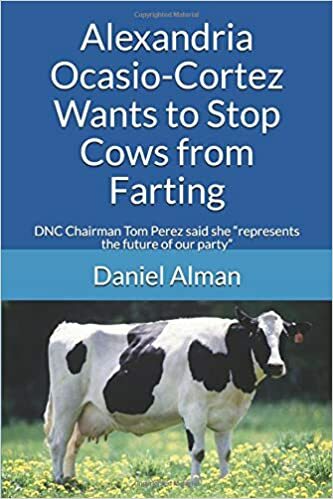 Tags: Alexandria Ocasio-Cortez, Climate change, Environmentalism, Fracking, Global warming, Green New Deal, Natural gas, New York, new york state. Alexandria Ocasio-Cortez, Environmentalism. In the mean time, the gas is transported by truck from Forest lake PA, to little falls NY. It’s pumped out of the ground, into trucks, driven over the road, and then put back into pipelines to carry it to new England. Think about that. Businesses were promised this had by the Governor all along the route of the Constitution pipeline, yet they go without to please a small minority of people. April 1, 2019 at 12:06 am. Permalink.